When a soulfinder speaks telepathically to her partner, it's like all the lights coming on in a building. You lit me up like Vegas. But for Sky it's just not that easy - she's a mystery to herself, haunted by nightmares from her past before she was adopted, and riddled with doubt and insecurity. Just when Sky is slowly coming round to the idea of being with Zed she is kidnapped by a family of criminal Savants. 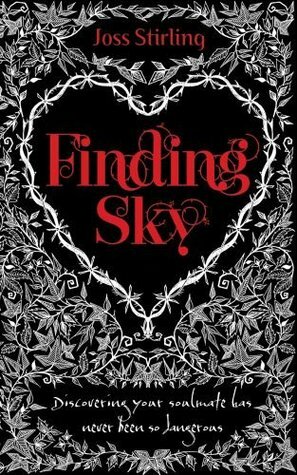 In a chilling twist, Sky and Zed's relationship is put to the ultimate test and the fate of those she loves lie in Sky's hands. Will Sky have the strength to embrace her power and be brave enough to control her own destiny, or will the dark demons of her past prevent her from realising her true potential? I have had this on my shelf for ages and was in all honesty reluctant to start yet another paranormal romance series. I must say despite my initial reservations I really did enjoy it. Sky is an interesting character. She is one of those characters you really want to root for from the first place because she is likable and easy to relate to. She's had a traumatic past but has worked hard with the support of her adoptive parents to move on and lead a normal life. Sky has just started a new high school in America. On the first day she lays eyes on the mysterious Zed Benedict. He's rue and arrogant but despite this Sky is drawn to something about him. After a bit of false start the two connect and from there on out the story develops further. Through the relationship with Zed is becomes apparent that Ski isn't as normal as she first sees. She has powers and is able to hear Zed and his family in her head. Not only that it turns out that Zed's family is also gifted with a wide range of abilities between them which they use for good. This unfortunately puts them at risk as a target of an equally gifted mafia style mob crime family whose crime plans are scuppered by the Benedict family. The story to start with is quite slow but I really enjoyed getting to know the family and seeing the relationship between Zed and Sky develop. Later on the pace picks up once the action really kicks in. From there on out I was at the point where I didn't want to put the book down as I needed to know what happened next. 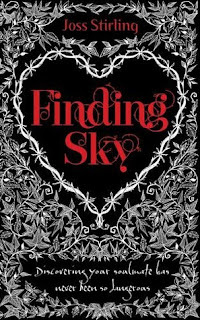 I particularly enjoyed seeing how all the events develop Sky as a character especially when she starts to find out more about her own abilities. An interesting novel with some original ideas which was an enjoyable read.